US television talk show host Oprah Winfrey is the richest woman in entertainment, according to a list published in New York recently. Oprah Winfrey is estimated with asset worth more than US$1.5billion, much ahead of boy wizard creator Rowling (estimated worth of US$1billion), businesswoman and home entertaining expert Stewart (estimated worth of US$600 million). 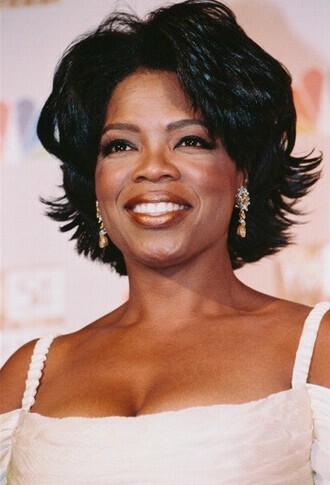 Being the richest entertainer, Oprah Winfrey actually was born in rural poverty. She was raised by a mother on welfare in the ghetto. Winfrey became a millionaire at age 32 when her talk show went national. Due to the popularity of the show, she negotiated the ownership of the show and start her own production company. At age 41, Winfrey’s wealth has reached $340million. she replaced Bill Cosby as the only African American on the Forbes 400. Pop divas Madonna, Celine Dion, Mariah Carey and Janet Jackson take the next four places, with fortunes ranging from US$325million to US$150million. It is followed by actress Julie Roberts, the top-placed Hollywood celebrity, with US$140million. Fellow actress and singer Jennifer Lopex and Friends star Jennifer Aniston rank ninth and tenth, each with US$110million. Former child sitcom stars Mary Kate and Ashley Olsen share some US$100million. This entry was posted on Monday, January 22nd, 2007 at 9:20 am	and is filed under Interesting Stuff. You can leave a response, or trackback from your own site.